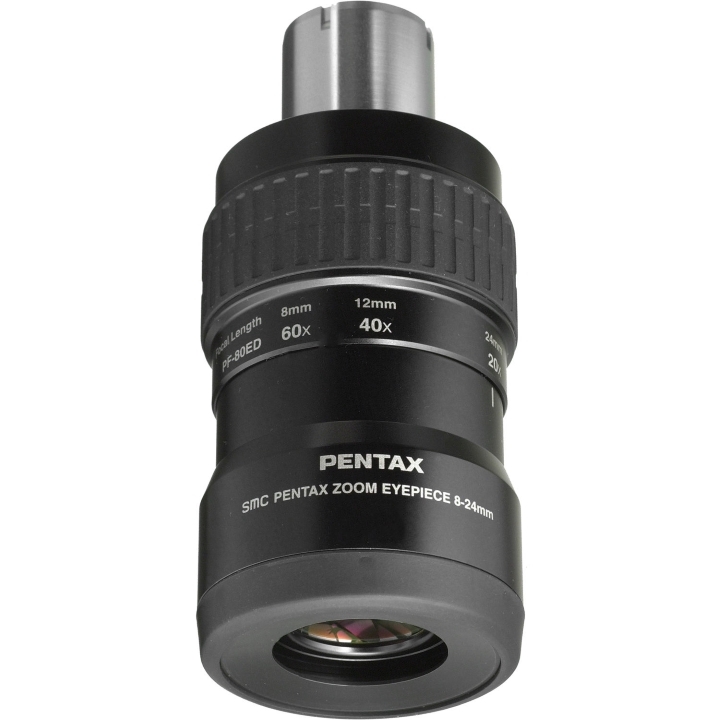 The SMC 8-24mm Zoom Eyepiece fits all Pentax spotting scopes for terrestrial viewing, and can also be used with telescopes with 1.25" focusers. It offers generous 18-22mm eye relief for comfortable viewing and an apparent angle of view as wide as 60°. 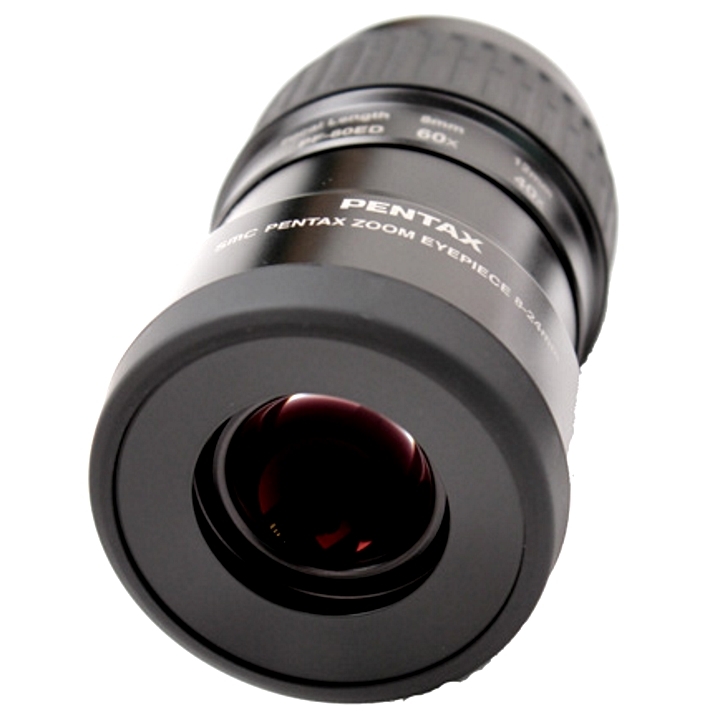 Built to Japanese Industrial Standards Class 4, it is weather resistant. 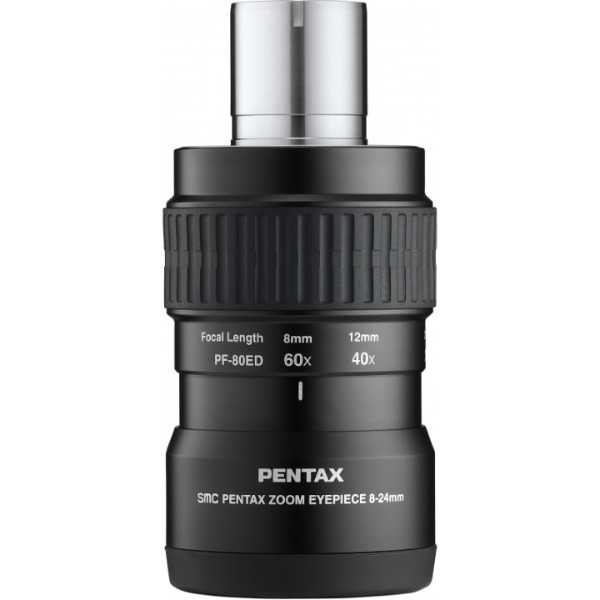 Zoom Eyepiece which is high-performance and waterproof structure for daily life environmnent.